It was a few months ago that I shared some press about the issuing of Frank Zappa’s legendary “Halloween ’77” performances and if you missed that notice somehow please click HERE to be up to speed on it. This is especially important if you consider yourself any kind of study in Frank’s contributions to music. Yesterday, the world learned that a brand new release was coming care of “The Roxy Performances” which is a series of gigs delivered back to back over a couple of nights. It is the first time ever that they have been presented in the fashion in which they happened. Take a look at the lengthy press release and song listing down below. I’ll close out with some thoughts at the end. 43 years ago in December 1973, Frank Zappa played a series of legendary concerts at the famed Roxy Theatre on the Sunset Strip in Hollywood. Considered a high-water mark of his career, owing to the incredible, virtuosic performances of himself and his stellar band The Mothers, the five shows – across three nights – included a private invite-only performance/soundcheck/film shoot followed by back-to-back doubleheaders. A few days later, continuing this incredibly prolific week, Zappa brought his band and camera crew to Ike Turner’s Bolic Sound in Inglewood for a filmed recording session. In typical Zappa fashion, he recorded it all. 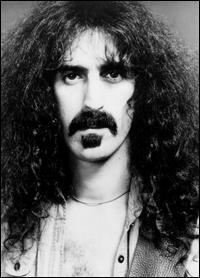 There’s been some great news regarding the works of the late great Frank Zappa. Since the press release gives you the entire lowdown, consider me a humble conduit. Read on. The Zappa Family Trust has partnered with Universal Music Enterprises (UMe) for a long-term, global licensing agreement for Frank Zappa’s entire recorded catalog, as well as rights management participation across the rest of the visionary cultural icon’s creative canon. The partnership spans Frank Zappa’s vast music and film Vault for new product releases, trademark licensing, film and theatrical production. 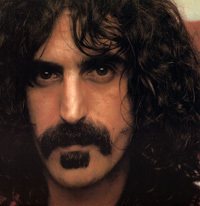 There has truly never been a better time to be into or to get into the music of the legendary Frank Zappa. This is especially the case if you are a fan of Progressive or Avant-garde type of stuff because there was no one else quite like him and that is what makes me share this bit of press with you readers of the PiercingMetal Musings blog. Prepare yourself now….go ahead….